Christian Louboutin, Gucci, and more starting at 20% off. 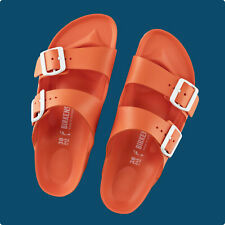 Extra 20% off Birkenstocks. Discount applied at checkout. Shoes for women have been crafted by a wide variety of brands, ranging from Adidas and Nike to Clarks and Tory Burch. There is also a wide variety styles to select from, including boots, heels, and athletic shoes to name a few. If you are searching for the right shoe, there are a range of sizes that are designed to fit any foot size, ranging from size 2 to 15. What are some different types of women's shoes? Boots: These are sturdy shoes that can be used both for fashion and to protect against the elements. In most cases, they will extend over the ankle, although it is possible for them to extend as far up as the knee and sometimes the hip. Oxfords: These are plain, formal shoes that are characterized by a feature known as closed lacing and typically consist of leather. Heels: High heels are a formal shoe type that comes with some form of heights at the back of the shoe, ranging from a kitten heel at 1.5 inches to a stiletto heel of 5 inches. These types of shoes alone come in many different types, including pump, wedge, and tapered. Athletic shoes: These shoes that are made for women and are specifically designed to be worn for any kind of athletic purpose, whether you are taking a brisk walk around your neighborhood or are playing sports. These sneakers are known to consist of a substantial amount of padding to protect the feet in the event of repeated amounts of high impact from running or playing sports. 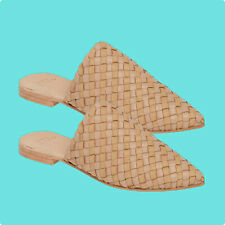 Slippers: This is a slip-on shoe that is oftentimes worn indoors as it is made primarily for comfort. What materials are boots made of? Boots can be made from a variety of materials, although the main focus in the construction of a boot is typically to provide comfort and warmth. Suede: This is a unique type of leather that is noted for its napped finish. The material is commonly used in the crafting of boots due to its pliability, thinness, and softness. Synthetic: Synthetic fabrics are man-made fibers that are typically flame-resistant, stain-resistant, and water-resistant. Nylon and polyester are two very common synthetic fabrics. Leather: Crafted from the skin of an animal, this is a very tough material that is tanned in order to get its unique complexion. These types of boots can be used in many workplace environments and outdoors.